It’s Tax Season... Are You Ready? The new Form 1040 – Gone are Forms 1040A, 1040EZ and the old 1040. This year, all taxpayers will be filing the same redesigned tax form. 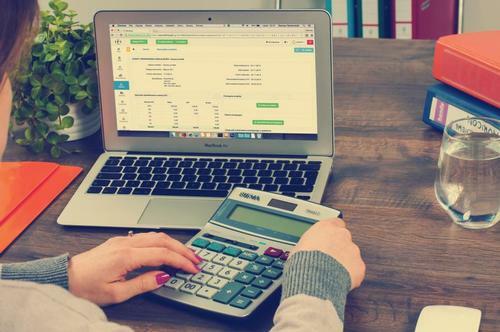 The new Numbered Schedules – Should you need to supplement the new Form 1040, you will need to use one of six new schedules. The traditional Form 1040 Schedules – Taxpayers who typically file the lettered schedules will still be able to supplement the new Form 1040 with these traditional schedules. The new 1040 form and instructions will be available in the Social Science and History Department at Parkway Central Library, as well as some neighborhood libraries. Check your local neighborhood library to confirm availability. Alternatively, IRS forms and instructions can also be obtained by submitting an online order or by calling 1-800-829-3676. This season, you will also experience significant changes with Pennsylvania tax form availability. Due to policy changes, the Pennsylvania Department of Revenue has discontinued the practice of bulk orders for its publications. What can you expect from this change? The Free Library of Philadelphia can no longer obtain state tax forms and instructions, as well as the Pennsylvania Property Tax/Rent Rebate form (PA-1000). State tax forms should be available after the start of the new tax season. The Pennsylvania Property Tax/Rent Rebate form will be available in February. Need filing assistance this season? Campaign for Working Families – Tax sites open now. No appointments needed at most sites. PathWays PA – Tax sites open now. To schedule an appointment, call 610-543-5022 or 800-209-2914. AARP Foundation Tax-Aide Program – Tax sites will open by early February for low to moderate income taxpayers. No age limitation. Appointments required. Call 888-227-7669. Parkway Central Library will also be hosting our fourth annual Financial Wellness Day for free tax preparation and financial planning resources on Saturday, March 30, from 9:00 a.m. to 3:00 p.m. This fair is offered through our partnership with the Campaign for Working Families and the United Way of Greater Philadelphia and Southern New Jersey. Tacony Library will be offering laptops for patrons to reserve to do their taxes online, every Thursday and Friday starting February 1 and lasting until April 12. Individuals earning under $66,000 annually may file for free using the United Way and H&R Block’s MyFreeTaxes, available for Pennsylvania residents and New Jersey residents. The Internal Revenue Service’s Free File program offers two file options based upon income. Households earning under $95,000 and individuals earning under $65,000 may consider the Benefit Bank Self-Serve tool to file taxes, apply for public benefits, or the FAFSA. Taxpayers between the ages of 25 and 65, as well as for those who may have a qualifying child, may be eligible for the federal EITC. Also, if you are worried about any tax-related issues or concerns during the on-again / off-again government shutdown, you can find some additional answers and resources locally from NBC10. Tax season begins today, January 28, 2019. I would like 2 reserve a room an Ur laptop 2 do taxes on March 14 @ 2pm. Thank u in advance 4 ur help. Good afternoon, Naya! I would suggest contacting the Tacony Library directly to request one of their private study rooms for Thursday, March 14. Their telephone number is 215-685-8755. Best wishes. 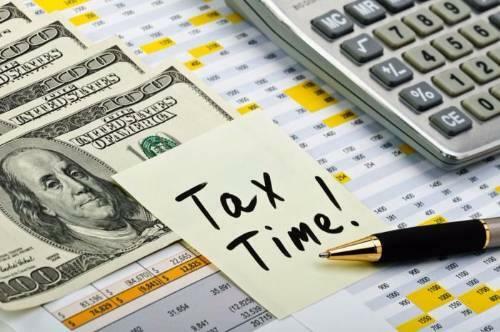 Add a Comment to It’s Tax Season... Are You Ready?